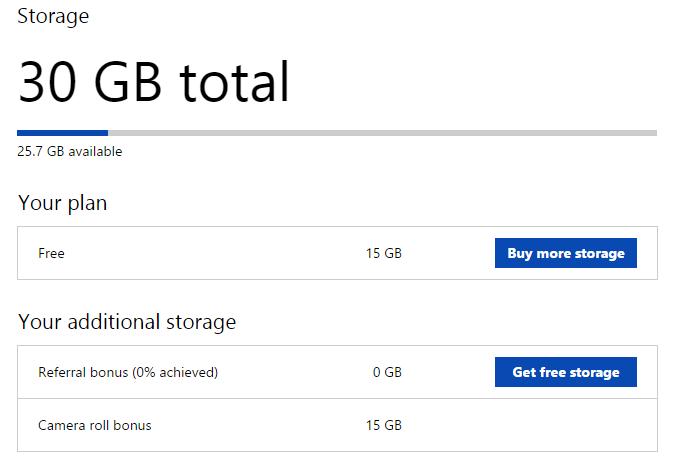 Microsoft Corp. has launched a free offering of 30 Gigabytes of storage space on its OneDrive in a move that, quite apparently, seems to lure users of Apple and Google cloud-based storage systems to switch subscription. The Redmond giant, however, is quite new to the cloud storage market, especially in the mobile area. But the launch of a 30 GB of free storage space is something every user of Apple’s and Google’s offerings should consider very seriously. Quite incidentally as well, Microsoft timed the launch in the midst of global pandemonium over the new iPhone 6 and iPhone 6 Plus and many more new offerings at Apple. In fact, the company’s promotional blog for the offering directly calls on iPhone users to switch to OneDrive. As of this post, iOS users are now able to use the 30GB cloud storage for free once they install and sign up for OneDrive for iOS. On top of Apple users, it is worth mentioning that the service is also being offered to users of Android and Windows Phone platforms. However, the service is available only for those who would sign up not beyond September. The free service is inclusive of a 15 GB cloud space for documents and another 15 GB for high-resolution photos and videos, or any other memory-intensive files. How to activate the free cloud storage upgrade to 30GB? You can start using this generous freebie by just enabling the camera roll feature on the OneDrive app, which as we mentioned above gives you an additional 15 GB of storage space. The camera roll feature works by automatically uploading photos from your mobile device and syncing them over the cloud. This as Apple is gearing up for the forthcoming launch of the iCloud Drive in late 2014. The cloud storage and sync platform is already available to iOS 8 users, as well as fans of Windows 7 and Windows 8. In October, the service will be rolled out to users of the Mac OS X Yosemite via a software update. Apple also offers free cloud storage for only up to 5 GB, quite far from Microsoft’s attractive offering. To get an additional 20 GB, users will be set back $0.99 per month. Also, Google gives 15 GB of free storage through its Google Drive, which is quite the biggest cloud space until Microsoft escalated the OneDrive free storage offering. So if you compare these free cloud storage offerings, you will indeed be tempted to select Microsoft’s.